Large-scale meditation events to be held in Korea next month. September. 12, 2018 07:54. by Gab-Sik Kim dunanworld@donga.com. A large-scale meditation event that wishes the peace of the Korean Peninsula will be held at the Demilitarized Zone (DMZ), which is the symbol of division, on October 13. The Chamseon Leaders Association, which is led by Gaksan, said it will hold "DMZ World Peace Meditation Event" at the Pyeonghwa Nuri Park located in Imjingak, Paju City, Gyeonggi Province. 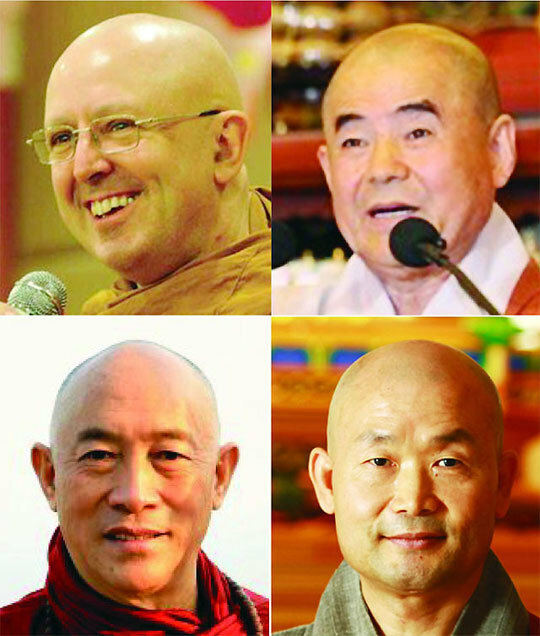 Ahahn Gunhah from Thailand, Ajahn Brahm, a meditator and writer who studied at the University of Cambridge, Shimdo Seonsa from Taiwan who has led the movement of integrating Buddhism in the world, Hyeguk from Korea who represents the virtue of desiring to realize the truth, and other internationally renowned Buddhist leaders will engage in this event. Promotors say that the number of participants is likely to reach up to 10,000. The fees for participating the DMZ event is free and will be carried out from 10:00 am to 5:00 p.m. on October 13. Starting with Hyeguk’s zen meditation that wishes for the peace of the Korean Peninsula, the event will be followed by a peace message from Ahahn Gunhah at 12:00 p.m. and a walk and meditation for the peace of DMZ together with Ajahn Brahm at 1:00 p.m.
"The World Meditation Healing Camp" will be held at the High 1 Resort located at Jeongseon County, Gangwon Province for three nights and four days. The participants of the camp will begin their schedule in earnest from Friday after wrapping up the DMZ World Meditation Event.